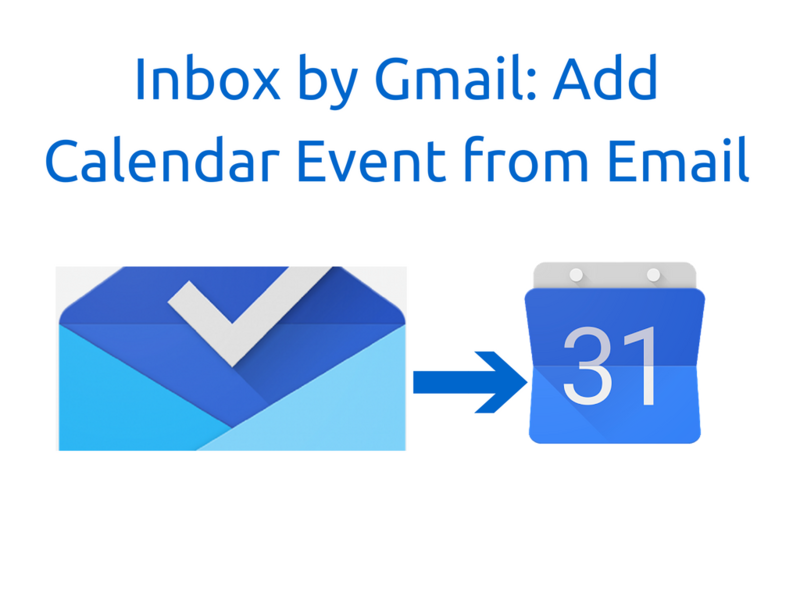 I just discovered how we can create a Google Calendar event from within an email in Inbox by Gmail. It's definitely not as feature rich as doing it from classic Gmail, but it works pretty darned well. 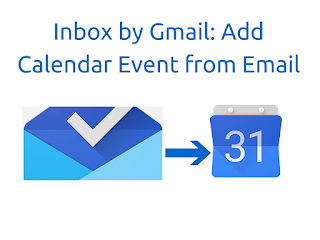 Please note, for this to work you need to have the Google Calendar extension installed. You can get that here. This extension actually makes this possible anywhere on the internet. Check out the video below to see how its done. PS How did you get the "calendar" label/icon in your Inbox (on the left)? Nice! I wish Inbox would be recognized properly by Google. It is by far the better Email client. Gmail is so early 2000's. Thanks Scott for the tip. Hello, Just tried this out and it appeared in there but then it changes to a spam folder after a few seconds. If i go into another window i have to click chrome extension to open up email then it appears then it disappears? Any way to do this from the Inbox mobile Android app? No this is desktop only. That is a cool extension, thank you. Inbox recognize .ics in an email and display a nice card with the name of the event, time and location. Selecting all the info from the card works but is quite cumbersome. Is there a way to have the right click option directly on the .ics attachement ? Brilliant workaround until such time as dates and times can be auto discovered within email like iOS mail app. However - getting confusions with date format. 08/06/2017 (8th June) in Inbox becomes 06/08/2017 (6th Aug) in Calendar, Calendar set to UK format, gmail set to UK language. Any ideas? 8/6/17 is AUgust 6th in US and I think date formats in Inbox use the US structure and there is no way to change that.